prostfan.com - What's New on prostfan.com? Nico Prost was racing in Nogaro (France) this weekend. Check out the complete results from the French FFSA GT4 Championship races at Nogaro! I added another photo to the Nico Prost Photo Gallery. 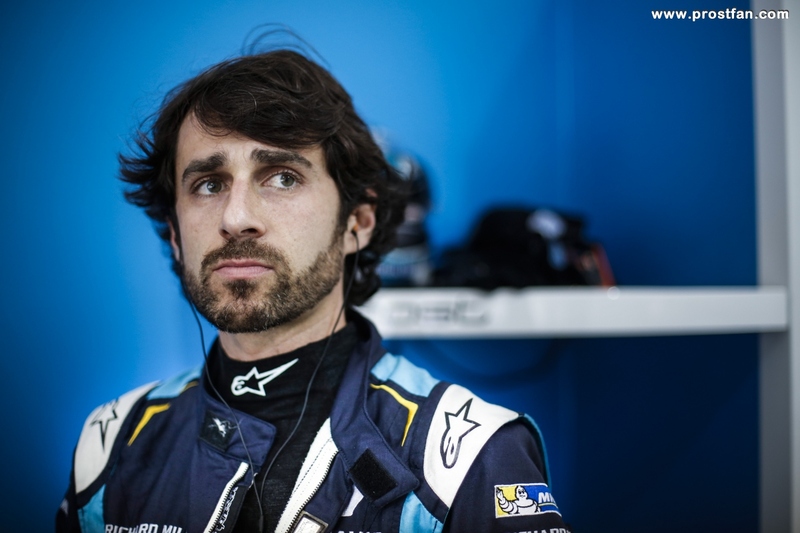 The photo was taken on April 20, 2019, showing Nico Prost racing at Nogaro (France). Photo Credit & ©: FFSA. There are now 1679 photos in the Nico Prost photo gallery! I added another photo to the Alain Prost Photo Gallery. The photo was taken on April 14, 2019, showing Alain Prost with Karel Loos and Daniel Ricciardo on the grid at Shanghai (China). Photo Credit & ©: Renault Sport / XPB / James Moy Photography Ltd. There are now 1906 photos in the Alain Prost photo gallery! I added another photo to the Alain Prost Photo Gallery. The photo was taken on April 14, 2019, showing Alain Prost waving the chequered flag at the end of the F1-race in Shanghai (China). Photo Credit & ©: Renault Sport / XPB / James Moy Photography Ltd. There are now 1905 photos in the Alain Prost photo gallery! I added another photo to the Alain Prost Photo Gallery. The photo was taken on March 14, 2019, showing Alain Prost with Cyril Abiteboul at Circuit de Catalunya in Montmelo (Spain). Photo Credit & ©: f1_franky on Instagram. There are now 1904 photos in the Alain Prost photo gallery! I added another photo to the Alain Prost Photo Gallery. The photo was taken on February 18, 2019, showing Alain Prost with fans in Melbourne (Australia). Photo Credit & ©: RENAULT SPORT / XPB / James Moy Photography Ltd.. There are now 1903 photos in the Alain Prost photo gallery! Alain Prost took part in the La Catalane Cyclo bicycle race on March 3, 2019. He finished 2nd in his category and 38th overall of 58 classified riders! I added the results to the page with Alain's bicycle race results 2019. I added another photo to the Alain Prost Photo Gallery. The photo was taken on March 3, 2019, showing Alain Prost at the start of the La Catalane Cyclo bicycle race at Le Boulou (France). Photo Credit & ©: La Catalane cyclo. There are now 1902 photos in the Alain Prost photo gallery! Alain is celebrating his 64th birthday today! I added another photo to the Alain Prost Photo Gallery. The photo was taken on February 23, 2019, showing Alain Prost during a short stop while cycling near Barcelona (Spain). Photo Credit: Alain Prost / Instagram. There are now 1901 photos in the Alain Prost photo gallery! I added another photo to the Alain Prost Photo Gallery. The photo was taken on February 18, 2019, showing Alain Prost at Circuit de Catalunya in Montmelo (Spain). Photo Credit & ©: David Gibson Photography. Best thanks go to Dave Gibson for his allowance to show the photo on prostfan.com! There are now 1900 photos in the Alain Prost photo gallery! I added another photo to the Alain Prost Photo Gallery. The photo was taken on February 12, 2019, showing Alain Prost being interviewed by Laurent Missbauer at Enstone (England). Photo Credit & ©: Laurent Missbauer. Best thanks go to my friend Laurent for sharing this photo with us! There are now 1899 photos in the Alain Prost photo gallery! Sacha Prost and his brother Nico were racing at Super Besse last weekend. You can find the detailed race results of Nico on the page with the Trophée Andros Elite Pro race results of Stade de France. The race results of Sacha can be found on the page with the Trophée Andros Electrique race results of Stade de France. I added another photo to the Alain Prost Photo Gallery. The photo was taken on February 9, 2019, showing Alain Prost with other VIPs at Stade de France in Saint-Denis (France). Photo Credit & ©: BRUNO BADE. There are now 1898 photos in the Alain Prost photo gallery! Sacha Prost and his brother Nico were racing at Super Besse last weekend. You can find the detailed race results of Nico on the page with the Trophée Andros Elite Pro race results of Super Besse. The race results of Sacha can be found on the page with the Trophée Andros Electrique race results of Super Besse. Sacha actually made it to the podium twice! Congratulations, Sacha! I added 2 photos to the Nico Prost Photo Gallery. The photos were taken on February 2, 2019, showing Nico Prost racing at Super Besse (France). Photo Credit & ©: BRUNO BADE. There are now 1678 photos in the Nico Prost photo gallery! Sacha Prost and his brother Nico were racing at Lans en Vercors last weekend. You can find the detailed race results of Nico on the page with the Trophée Andros Elite Pro race results of Lans en Vercors. The race results of Sacha can be found on the page with the Trophée Andros Electrique race results of Lans en Vercors. I added 5 photos to the Nico Prost Photo Gallery. The photos were taken on January 25 and 26, 2019, showing Nico Prost racing at Lans en Vercors (France). Photo Credit & ©: BRUNO BADE. There are now 1678 photos in the Nico Prost photo gallery! Sacha Prost and his brother Nico were racing at Serre Chevalier last weekend. You can find the detailed race results of Nico on the page with the Trophée Andros Elite Pro race results of Serre Chevalier. The race results of Sacha can be found on the page with the Trophée Andros Electrique race results of Serre Chevalier. I added 3 photos to the Nico Prost Photo Gallery. The photos were taken on January 19, 2019, showing Nico Prost racing at Serre Chevalier (France). Photo Credit & ©: BRUNO BADE. There are now 1673 photos in the Nico Prost photo gallery! I added 3 photos to the Nico Prost Photo Gallery. The photos were taken on January 11 and 12, 2019, showing Nico Prost racing at Isola 2000 (France). Photo Credit & ©: BRUNO BADE. There are now 1670 photos in the Nico Prost photo gallery! Sacha Prost and his brother Nico were racing at Isola 2000 last weekend. You can find the detailed race results of Nico on the page with the Trophée Andros Elite Pro race results of Isola 2000. The race results of Sacha can be found on the page with the Trophée Andros Electrique race results of Isola 2000. I added another photo to the Alain Prost Photo Gallery. The photo was taken on January 5, 2019, showing Alain Prost with his grandson Kimi at Gstaad (Switzerland). Photo Credit & ©: Alain Prost / Instagram. There are now 1897 photos in the Alain Prost photo gallery! I added 6 photos to the Nico Prost Photo Gallery. The photos were taken on December 21, 2018, showing Nico Prost at Andorra. Photo Credit & ©: BRUNO BADE. There are now 1667 photos in the Nico Prost photo gallery! Sacha Prost and his brother Nico were racing at Andorra last weekend. You can find the detailed race results of Nico on the page with the Trophée Andros Elite Pro race results of Andorra. The race results of Sacha can be found on the page with the Trophée Andros Electrique race results of Andorra. I added another photo to the Nico Prost Photo Gallery. The photo was taken on December 19, 2018, showing Nico Prost with Sacha Prost at Vuiteboeuf (Switzerland). Photo Credit & ©: Philippe Ossola / Karting Vuiteboeuf. There are now 1661 photos in the Nico Prost photo gallery! I added 4 photos to the Nico Prost Photo Gallery. The photos were taken on December 7 and 8, 2018, showing Nico Prost at Val Thorens (France). Photo Credit & ©: BRUNO BADE / TROPHÉE ANDROS. There are now 1660 photos in the Nico Prost photo gallery! Sacha Prost and his brother Nico were racing at Val Thorens (France) this weekend. Because of weather conditions, the races on the second day were cancelled. Nico finished the first day in seventh position of Elite Pro while Sacha Prost finished 8th in the ENEDIS Electrique race. You can find the detailed race results of Nico on the page with the Trophée Andros Elite Pro race results of Val Thorens. The race results of Sacha can be found on the page with the Trophée Andros Electrique race results of Val Thorens. I added 3 photos to the Nico Prost Photo Gallery. The photos were taken on December 7, 2018, showing Nico Prost at Val Thorens (France). Photo Credit & ©: BRUNO BADE. There are now 1656 photos in the Nico Prost photo gallery! I added another photo to the Alain Prost Photo Gallery. The photo was taken on November 24, 2018, showing Alain Prost with Cyril Abiteboul at Abu Dhabi (UAE). Photo Credit & ©: RENAULT SPORT / XPB / James Moy Photography Ltd.. There are now 1896 photos in the Alain Prost photo gallery! I added another photo to the Alain Prost Photo Gallery. The photo was taken on October 26, 2018, showing Alain Prost with Beatriz García Horcacitas at Mexico City (Mexico). Photo Credit & ©: Beatriz García Horcacitas. There are now 1895 photos in the Alain Prost photo gallery! I added another photo to the Alain Prost Photo Gallery. The photo was taken on September 29, 2018, showing Alain Prost at Sochi (Russia). Photo Credit & ©: RENAULT SPORT / XPB / James Moy Photography Ltd.. There are now 1894 photos in the Alain Prost photo gallery! I added another photo to the Alain Prost Photo Gallery. The photo was taken on September 16, 2018, showing Alain Prost with Nightcrawlers singer John Reid at Singapore. Photo Credit & ©: John Reid / @johnreidsongs on Instagram. A big "Thank you" to John Reid for allowing me to use the photo on prostfan.com! Thanks bro! There are now 1893 photos in the Alain Prost photo gallery! I added another photo to the Alain Prost Photo Gallery. The photo was taken on September 16, 2018, showing Alain Prost at Singapore. Photo Credit & ©: Yuka Sekiguchi. A big "Thank you" to fellow Prostfan Yuka for sharing her photo with us! There are now 1892 photos in the Alain Prost photo gallery! I added another photo to the Alain Prost Photo Gallery. The photo was taken on September 14, 2018, showing Alain Prost with Carlos Sainz jr. at Singapore. Photo Credit & ©: Renault Sport Formula One Team / XPB / James Moy Photography Ltd.. There are now 1891 photos in the Alain Prost photo gallery! Back in June 2018, Alain Prost took part in the TIME Megève Mont-Blanc Mediofondo bicycle race. He finished 5th in his category and 187th overall of 485 classified riders! I added the results to the page with Alain's bicycle race results 2018. I added another photo to the Alain Prost Photo Gallery. The photo was taken on September 2, 2018, showing Alain Prost during the UCI Gran Fondo World Championships 2018 in Varese (Italy). Photo Credit: Chiara (@chiara_unafotounricordo) on Instagram. There are now 1890 photos in the Alain Prost photo gallery! I added another photo to the Alain Prost Photo Gallery. The photo was taken on August 24, 2018, showing Alain Prost with Nico Hülkenberg at Spa-Francorchamps (Belgium). Photo Credit & ©: Renault Sport / XPB / James Moy Photography Ltd.. There are now 1889 photos in the Alain Prost photo gallery! I added another photo to the Alain Prost Photo Gallery. The photo was taken on September 1, 2018, showing Alain Prost watching the F1 qualifying on his laptop at Varese (Italy). Photo Credit: Davide Giuliani. There are now 1888 photos in the Alain Prost photo gallery! Alain Prost took part in the UCI Gran Fondo World Championships 2018 in Varese (Italy) last weekend. He finished 131st of 170 riders in his category (60/64 M) and 235th overall of 432 classified riders! I added the results to the page with Alain's bicycle race results 2018. I added another photo to the Alain Prost Photo Gallery. The photo was taken on August 31, 2018, showing Alain Prost with Renzio Oldani at Varese (Italy). Photo Credit & ©: www.varesesport.com. There are now 1887 photos in the Alain Prost photo gallery! I added another photo to the Alain Prost Photo Gallery. The photo was taken on August 8, 2018, showing Alain Prost with triathlete Arnaud Guilloux at Porto-Vecchio, Corsica (France). Photo Credit & ©: Arnaud Guilloux. There are now 1886 photos in the Alain Prost photo gallery! Nico Prost was racing in New York City (USA) this weekend. Check out the complete results from Race 2 of the New York City ePrix! I added 3 photos to the Nico Prost Photo Gallery. The photos were taken on July 13/14 2018, showing Nico Prost at New York City (USA). Photo Credit & ©: Jérôme Cambier / MICHELIN. There are now 1653 photos in the Nico Prost photo gallery! Nico Prost is racing in New York City (USA) this weekend. Check out the complete results from Race 1 of the New York City ePrix! I added another photo to the Alain Prost Photo Gallery. The photo was taken on June 22, 2018, showing Alain Prost with Cyril Abiteboul at Circuit Paul Ricard, Le Castellet (France). Photo Credit & ©: Renault Sport Formula One Team / XPB / James Moy Photography Ltd.. There are now 1885 photos in the Alain Prost photo gallery! I added another photo to the Alain Prost Photo Gallery. The photo was taken on June 10, 2018, showing Alain Prost with Naomi Campbell at Zurich (Switzerland). Photo Credit & ©: ABB FIA Formula E / Sam Bagnall / Motorsport Images. There are now 1884 photos in the Alain Prost photo gallery! I added another photo to the Nico Prost Photo Gallery. The photo was taken on June 10, 2018, showing Nico Prost racing at Zurich (Switzerland). Photo Credit & ©: Oskar Schuler / www.prostfan.com. There are now 1650 photos in the Nico Prost photo gallery! I added another photo to the Alain Prost Photo Gallery. The photo was taken on June 10, 2018, showing Alain Prost during the ABB FIA Formula E Julius Bär Zurich ePrix at Zurich (Switzerland). Photo Credit & ©: Oskar Schuler / www.prostfan.com. There are now 1883 photos in the Alain Prost photo gallery! Nico was racing in Zurich (Switzerland) yesterday. Check out the complete results from the Zurich ePrix! I added 3 photos to Alain's Photo Gallery. The photos were taken on May 24 and 25, 2018, showing Alain Prost at Monte Carlo (Monaco). Photo Credit: Renault Sport Formula One Team. There are now 1882 images in the Alain Prost photo gallery! I added another photo to the Nico Prost Photo Gallery. The photo was taken on May 19, 2018, showing Nico Prost racing at Berlin (Germany). Photo Credit & ©: RENAULT SPORT / Alexandre Guillaumot / DPPI. There are now 1649 photos in the Nico Prost photo gallery! Nico was racing in Berlin (Germany) today. Check out the complete results from the Berlin ePrix! I added another photo to the Nico Prost Photo Gallery. The photo was taken on June 11, 2017, showing Nico Prost racing at Berlin (Germany). Photo Credit & ©: Renault e.dams / Antonin Vincent / DPPI. There are now 1648 photos in the Nico Prost photo gallery! I added another photo to the Alain Prost Photo Gallery. The photo was taken on May 5, 2018, showing Alain Prost with Carlos Sainz jr. before the Spanish Grand Prix, Barcelona (Spain). Photo Credit & ©: RENAULT SPORT / XPB / James Moy Photography Ltd.. There are now 1879 photos in the Alain Prost photo gallery! I added another photo to the Nico Prost Photo Gallery. The photo was taken on April 28, 2018, showing Nico Prost with a phone cover he signed for his fan Yuka Sekiguchi in Paris (France). Photo Credit & ©: Yuka Sekiguchi. A big "Thank you" to fellow Prostfan Yuka for sharing her photo with us! There are now 1647 photos in the Nico Prost photo gallery! I added another photo to the Nico Prost Photo Gallery. The photo was taken on April 27, 2018, showing Nico Prost at Paris (France). Photo Credit & ©: Jérôme Cambier/Michelin. There are now 1646 photos in the Nico Prost photo gallery! Nico was racing in Paris (France) today. Unfortunately, he got hit from behind right after the start. Race control forced him to stop and change the rear wing, so he lost a lot of time. Check out the complete results from the Paris ePrix! I added another photo to the Alain Prost Photo Gallery. The photo was taken on March 22, 2018, showing Alain Prost with Cyril Abiteboul and Jérôme Stoll at Melbourne (Australia). Photo Credit & ©: RENAULT SPORT / XPB / James Moy Photography Ltd.. There are now 1878 photos in the Alain Prost photo gallery! I added 3 photos to the Nico Prost Photo Gallery. The photos were taken on April 13/14 2018, showing Nico Prost at Roma (Italy). Photo Credit & ©: RENAULT SPORT / DPPI. There are now 1645 photos in the Nico Prost photo gallery! Nico was racing in Rome (Italy) yesterday. Unfortunately, both Renault e.dams had problems during the race as they were consuming too much energy. Check out the complete results from the Rome ePrix! I added another photo to the Alain Prost Photo Gallery. The photo was taken on April 1, 2018, showing Alain Prost riding his bicycle in France. Photo Credit: Alain Prost / Instagram. There are now 1877 photos in the Alain Prost photo gallery! I added another photo to the Nico Prost Photo Gallery. The photo was taken on March 17, 2018, showing Nico Prost racing at Punta del Este (Uruguay). Photo Credit & ©: RENAULT SPORT / CLEMENT LUCK / DPPI. There are now 1642 photos in the Nico Prost photo gallery! I added another photo to the Alain Prost Photo Gallery. The photo was taken on March 11, 2018, showing Alain Prost with Nico Hükenberg during the roadshow at Nice (France). Photo Credit & ©: RENAULT SPORT / Antonin GRENIER. There are now 1876 photos in the Alain Prost photo gallery! Nico was racing in Punta del Este (Uruguay) yesterday. His day was compromised in qualifying where he went off and therefore had to start from the back of the grid. Check out the complete results from the Punta del Este ePrix! I added another photo to the Nico Prost Photo Gallery. The photo was taken on March 16, 2018, showing Nico Prost at Punta del Este (Uruguay). Photo Credit & ©: RENAULT SPORT / CLEMENT LUCK / DPPI. There are now 1641 photos in the Nico Prost photo gallery! I added another photo to the Alain Prost Photo Gallery. The photo was taken on March 7, 2018, showing Alain Prost with Jean-Pierre Jabouille at Barcelona (Spain). Photo Credit & ©: RENAULT SPORT / XPB / James Moy Photography Ltd.. There are now 1875 photos in the Alain Prost photo gallery! I added another photo to the Nico Prost Photo Gallery. The photo was taken on March 3, 2018, showing Nico Prost racing at Mexico City (Mexico). Photo Credit & ©: RENAULT SPORT / ERIC VARGIOLU / DPPI. There are now 1640 photos in the Nico Prost photo gallery! I added another photo to the Nico Prost Photo Gallery. The photo was taken on March 3, 2018, showing Nico Prost racing at Mexico City (Mexico). Photo Credit & ©: RENAULT SPORT / François Flamand / DPPI. There are now 1639 photos in the Nico Prost photo gallery! Nico was racing in Mexico yesterday. Unfortunately he had to retire the race after a collision with Sam Bird. Check out the complete results from the Mexico ePrix! I added another photo to the Nico Prost Photo Gallery. The photo was taken on March 2, 2018, showing Nico Prost (Renault e.dams) training at Mexico City (Mexico). Photo Credit & ©: RENAULT SPORT / ERIC VARGIOLU / DPPI. There are now 1638 photos in the Nico Prost photo gallery! I added another photo to the Alain Prost Photo Gallery. The photo was taken on February 20, 2018, showing Alain Prost at Enstone (England). Photo Credit & ©: RENAULT SPORT / XPB / James Moy Photography Ltd.. There are now 1874 photos in the Alain Prost photo gallery! Alain Prost is celebrating his 63rd birthday today! To celebrate Alain's birthday, I added a special photo do the Nico Prost Photo Gallery. The photo was taken on February 2, 2018, showing Nico Prost and the rest of the team pose for a picture for Alain Prost's birthday at Santiago (Chile). Photo Credit & ©: RENAULT SPORT / FLORENT GOODEN / DPPI. There are now 1637 photos in the Nico Prost photo gallery! I added 3 photos to the Nico Prost Photo Gallery. The photos were taken in February 2018, showing Nico Prost at Santiago (Chile). Photo Credit & ©: RENAULT SPORT / FLORENT GOODEN / DPPI. There are now 1636 photos in the Nico Prost photo gallery! Nico was racing at Santiago (Chile) today. He finished the race in the points although he lost some time at the pitstop. Check out the complete results from the Santiago ePrix! I added another photo to the Nico Prost Photo Gallery. The photo was taken on January 27, 2018, showing Nico Prost driving the Andros Sport 01 at Lans en Vercors (France). Photo Credit & ©: TROPHEE ANDROS / BRUNO BADE. There are now 1633 photos in the Nico Prost photo gallery! Sacha Prost and his brother Nico were racing at Lans en Vercors (France) this weekend. Sacha Prost finished race 2 on the podium. Well done, Sacha! You can find the detailed results on the page with the results from the Trophée Andros Electrique at Lans en Vercors. Nico drove the new Andros Sport 01 race car in the second race of the Elite Pro category. The timing can be found on the page with the results from the Trophée Andros race 2 at Lans en Vercors! I added something exclusive today: To mark the publication of the new book "The Power and The Glory: Senna, Prost and F1's Golden Era" on February 1st, the author David Sedgwick has abridged a chapter of the book, which is presented to you on this website. You find it on the Alain Prost and Ayrton Senna page of this website (or just click on the picture on the right). Many thanks go to David Segwick! I added 2 photos to the Nico Prost Photo Gallery. The photos were taken on Januar 20, 2018, showing Nico Prost at Serre Chevalier (France). Photo Credit & ©: TROPHEE ANDROS / BRUNO BADE. There are now 1632 photos in the Nico Prost photo gallery! Nico Prost was racing at Serre Chevalier (France) this weekend. Find all the results on the page with the results from the Trophée Andros at Serre Chevalier! His brother Sacha Prost was also racing there. You can find a link to his race results on the Sacha Prost page. I added another photo to the Nico Prost Photo Gallery. The photo was taken on January 12, 2018, showing Nico Prost driving the Renault e.dams at Marrakesh (Morocco). Photo Credit & ©: RENAULT SPORT / JEAN MICHEL LE MEUR / DPPI. There are now 1630 photos in the Nico Prost photo gallery! I added another photo to the Alain Prost Photo Gallery. The photo was taken on January 11, 2018, showing Alain Prost at Marrakesh (Morocco). Photo Credit & ©: RENAULT SPORT / JEAN MICHEL LE MEUR / DPPI. There are now 1873 photos in the Alain Prost photo gallery! I added another photo to the Nico Prost Photo Gallery. The photo was taken on January 11, 2018, showing Nico Prost at Marrakesh (Morocco). Photo Credit & ©: RENAULT SPORT / GREGORY LENORMAND / DPPI. There are now 1629 photos in the Nico Prost photo gallery! Nico was racing at Marrakesh (Morocco) today. After finishing in the points, he got a 20 second penalty and finished the race in 13th position. Check out the complete results from the Marrakesh ePrix! I added another photo to the Nico Prost Photo Gallery. The photo was taken on December 13, 2017, showing Nico Prost with Mathias Beche, Julien Canal, Bruno Senna and Alexandre Pesci at Romanel-sur-Lausanne (Switzerland). Photo Credit & ©: Oskar Schuler / prostfan.com. There are now 1628 photos in the Nico Prost photo gallery! I added another photo to the Nico Prost Photo Gallery. The photo was taken on December 9, 2017, showing Nico Prost racing at Alpe d'Huez (France). Photo Credit: Nico Prost/Twitter. There are now 1627 photos in the Nico Prost photo gallery! Nico Prost was racing at Alpe d'Huez (France) this weekend. Find all the results on the page with the results from the Trophée Andros at Alpe d'Huez! Sacha Prost was racing at Alpe d'Huez (France) this weekend. Find all the results on the page with the results from the Enedis Trophée Andros Électrique at Alpe d'Huez! I added another photo to the Nico Prost Photo Gallery. The photo was taken on December 3, 2017, showing Nico Prost racing at Hong Kong. Photo Credit & ©: Alastair Staley/LAT/Formula E. There are now 1626 photos in the Nico Prost photo gallery! I added another photo to the Alain Prost Photo Gallery. The photo was taken on December 3, 2017, showing Alain Prost being interviewed by Jason Chan at Hong Kong. Photo Credit & ©: Alan Wong. Thanks to fellow Prostist Alan, webmaster of the Alain Prost Grand Prix Homepage, for sharing the photo with us. There are now 1872 photos in the Alain Prost photo gallery! Nico was racing at Hong Kong today and finished the race on 8th position. Check out the complete results from the race 2 at Hong Kong! I added another photo to the Nico Prost Photo Gallery. The photo was taken on November 30, 2017, showing Nico Prost at Hong Kong. Photo Credit & ©: RENAULT SPORT / GREGORY LENORMAND / DPPI. There are now 1625 photos in the Nico Prost photo gallery! I added another photo to the Alain Prost Photo Gallery. The photo was taken on November 30, 2017, showing Alain Prost at Hong Kong. Photo Credit & ©: RENAULT SPORT / GREGORY LENORMAND / DPPI. There are now 1871 photos in the Alain Prost photo gallery! Nico was racing at the season opener in Hong Kong today and secured himself his first point. Check out the complete results from race 1 at Hong Kong! I added another photo to the Alain Prost Photo Gallery. The photo was taken on November 25, 2017, showing Alain Prost at the Yas Marina Circuit in Abu Dhabi (UAE). Photo Credit & ©: RENAULT SPORT. There are now 1870 photos in the Alain Prost photo gallery! I added another photo to the Nico Prost Photo Gallery. The photo was taken on November 19, 2017, showing Nico Prost with his team mates on the podium at Bahrain. Photo Credit & ©: FIA WEC / Marius Hecker. There are now 1624 photos in the Nico Prost photo gallery! Nico was racing at Bahrain this weekend and finished the year with another victory! Congratulations, Nico! Find all the results on the page with the results from the FIA WEC race at Bahrain! I added another photo to the Alain Prost Photo Gallery. The photo was taken on November 12, 2017, showing Alain Prost at Interlagos (Brazil). Photo Credit & ©: RENAULT SPORT. There are now 1869 photos in the Alain Prost photo gallery! I added another photo to the Nico Prost Photo Gallery. The photo was taken on November 5, 2017, showing Nico Prost with his team mates after their win at Shanghai (China). Photo Credit & ©: REBELLION RACING / Clement Marin / DPPI. There are now 1623 photos in the Nico Prost photo gallery! Nico was racing at Shanghai (China) this weekend. Again, he and his team mates won the LMP2 category! Congratulations, Nico! Find all the results on the page with the results from the FIA WEC race at Shanghai! I added another photo to the Alain Prost Photo Gallery. The photo was taken on October 19, 2017, showing Alain Prost in Austin, Texas (USA). Photo Credit & ©: RENAULT SPORT. There are now 1868 photos in the Alain Prost photo gallery! I added another photo to the Nico Prost Photo Gallery. The photo was taken on October 13, 2017, showing Nico Prost during free practice at Fuji (Japan). Photo Credit & ©: REBELLION RACING / Clement Luck / DPPI. There are now 1622 photos in the Nico Prost photo gallery! Nico was racing at Fuji (Japan) this weekend. He and his team mates won the LMP2 class! Congratulations, Nico! Find all the results on the page with the results from the FIA WEC race at Fuji! I added another photo to the Nico Prost Photo Gallery. The photo was taken on October 5, 2017, showing Nico Prost during the official Formula E test at Valencia (Spain). Photo Credit & ©: Renault e.dams / Sam Bloxham / LAT. There are now 1621 photos in the Nico Prost photo gallery! I added another photo to the Alain Prost Photo Gallery. The photo was taken on September 26, 2017, showing Alain Prost being interviewed during the Formula E reveal party at Paris (France). Photo Credit & ©: RENAULT SPORT / François Flamand / DPPI. There are now 1868 photos in the Alain Prost photo gallery! I added another photo to the Nico Prost Photo Gallery. The photo was taken on September 26, 2017, showing Nico Prost with Sébastien Buemi during the Formula E reveal party at Paris (France). Photo Credit & ©: RENAULT SPORT / François Flamand / DPPI. There are now 1620 photos in the Nico Prost photo gallery! I added another photo to the Nico Prost Photo Gallery. The photo was taken on September 15, 2017, showing Nico Prost driving the Vaillante Rebellion Oreca 07 Gibson at COTA, Austin TX (USA). Photo Credit & ©: REBELLION RACING / François Flamand / DPPI. There are now 1619 photos in the Nico Prost photo gallery! Nico was racing at COTA in Austin TX (USA) this weekend. He and his team mates drove a great race with close fights until the very end. Nico drove the last stint, finishing the race on the LMP2 podium! Find all the results on the page with the results from the FIA WEC race at COTA! I added another photo to the Alain Prost Photo Gallery. The photo was taken on April 30, 2017, showing Alain Prost during the La Colas 133 km bicycle race at Saint Antonin sur Bayon (France). Photo Credit & ©: sylvain sauvage photographe. There are now 1867 photos in the Alain Prost photo gallery! I added another photo to the Nico Prost Photo Gallery. The photo was taken on September 2, 2017, showing Nico Prost driving the Vaillante Rebellion Oreca 07 Gibson at Mexico. Photo Credit & ©: REBELLION RACING / Frederic Le Floc'h / DPPI. There are now 1618 photos in the Nico Prost photo gallery! I added another photo to the Nico Prost Photo Gallery. The photo was taken on September 3, 2017, showing Nico Prost with his team mates Bruno Senna and Julien Canal on the podium at Mexico after winning the LMP2 class. Photo Credit & ©: REBELLION RACING / Florent Gooden / DPPI. There are now 1617 photos in the Nico Prost photo gallery! Nico was racing in Mexico this weekend. He and his team mates drove a great race, which resulted in a well-deserved win in the LMP2 class! Congratulations, Nico! Find all the results on the page with the results from the FIA WEC race at Mexico! I added another photo to the Alain Prost Photo Gallery. The photo was taken on August 27, 2017, showing Alain Prost at Spa-Francorchamps (Belgium). Photo Credit & ©: RENAULT SPORT / Geert Franquet. There are now 1866 photos in the Alain Prost photo gallery! As I just found out, Alain Prost took part in the bicycle race "La Provençale Sainte-Victoire 133 km (La Colas)" back in April. He finished 6th in his category and 197th overall of 500 classified riders! I added the results to the page with Alain's bicycle race results 2017. I added another photo to the Nico Prost Photo Gallery. The photo was taken on June 18, 2017, showing Nico Prost racing the Vaillante Rebellion at Le Mans (France). Photo Credit & ©: FIA WEC / DIRK BOGAERTS / ADRENAL MEDIA. There are now 1616 photos in the Nico Prost photo gallery! I added another photo to the Alain Prost Photo Gallery. The photo was taken on August 26, 2017, showing Alain Prost at Spa-Francorchamps (Belgium). Photo Credit & ©: RENAULT SPORT / XPB / James Moy Photography. There are now 1865 photos in the Alain Prost photo gallery! I added another photo to the Alain Prost Photo Gallery. The photo was taken on August 5, 2017, showing Alain Prost posing with a miniature chalet in Switzerland. Photo Credit: Instagram / Alain Prost. There are now 1864 photos in the Alain Prost photo gallery! I added 8 photos to the Nico Prost Photo Gallery. 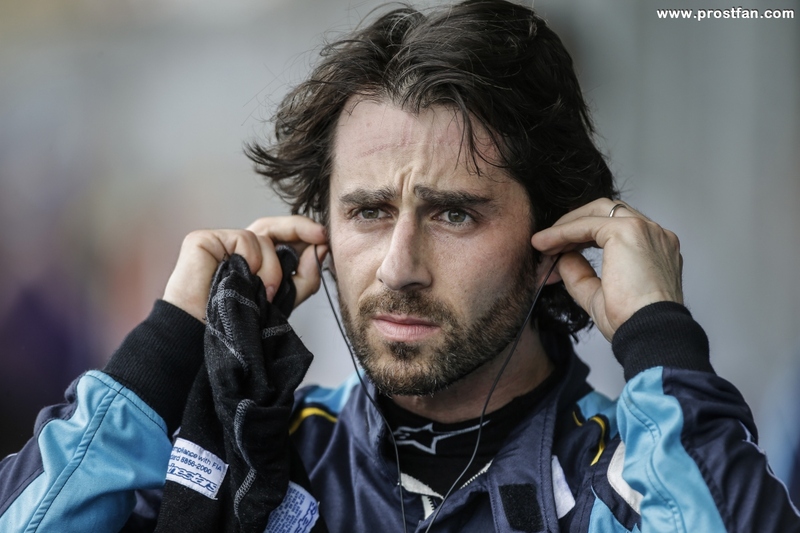 The photos were taken in the last few days, showing Nico Prost at Montréal (Canada). Photo Credit & ©: RENAULT SPORT / DPPI. There are now 1615 photos in the Nico Prost photo gallery! I added 4 photos to Alain's Photo Gallery. The photos were taken last weekend, showing Alain Prost at Montréal (Canada). Photo Credit & ©: RENAULT SPORT / DPPI. There are now 1863 images in the Alain Prost photo gallery! Nico was racing in Montréal last weekend. Find now all the final results from Saturday's race and Sunday's race at Montréal! I added another photo to the Nico Prost Photo Gallery. The photo was taken on July 15, 2017, showing Nico Prost driving driving in the rain at New York City (USA). Photo Credit & ©: RENAULT SPORT / DPPI. There are now 1607 photos in the Nico Prost photo gallery! I added 4 photos to the Nico Prost Photo Gallery. The photos were taken in the last few days, showing Nico Prost at New York (USA). Photo Credit & ©: RENAULT SPORT / DPPI. There are now 1606 photos in the Nico Prost photo gallery! I added another photo to the Alain Prost Photo Gallery. The photo was taken on July 14, 2017, showing Alain Prost at New York City (USA). Photo Credit & ©: RENAULT SPORT / Clement Luck / DPPI. There are now 1859 photos in the Alain Prost photo gallery! I added another photo to the Nico Prost Photo Gallery. The photo was taken on June 15, 2017, showing Nico Prost driving the Vaillante Rebellion at Le Mans (France). Photo Credit & ©: REBELLION RACING / Florent Gooden / DPPI. There are now 1602 photos in the Nico Prost photo gallery! Nico was racing in New York City (USA) last weekend. It was not an easy weekend for him, but he drove two great races, collecting some important points for the championship. Find now all the final results from Saturday's race and Sunday's race at New York City! Nico was racing in Le Mans this weekend. He drove a great race, but unfortunately was not rewarded as his car spent a lot of time in the garage with a gearbox issue. Find all the results on the page with the results from the 24 hours race at Le Mans! I added another photo to the Nico Prost Photo Gallery. The photo was taken on June 4, 2017, showing Nico Prost testing the Vaillante Rebellion at Le Mans (France). Photo Credit & ©: REBELLION RACING / Jean-Michel Le Meur / DPPI. There are now 1601 photos in the Nico Prost photo gallery! I added another photo to the Nico Prost Photo Gallery. The photo was taken on June 9, 2017, showing Nico Prost driving the Renault e.Dams at Berlin (Germany). Photo Credit & ©: RENAULT / Alexandre Guillaumot / DPPI. There are now 1600 photos in the Nico Prost photo gallery! Nico was racing in Berlin (Germany) this weekend. He drove two solid races, collecting some important points. Find now all the final results from Saturday's race and Sunday's race at Berlin! I added another photo to the Nico Prost Photo Gallery. The photo was taken on June 8, 2017, showing Nico Prost with his teammate Sébastien Buemi in Berlin (Germany). Photo Credit & ©: RENAULT / Alexandre Guillaumot / DPPI. There are now 1599 photos in the Nico Prost photo gallery! I added 3 photos to the Nico Prost Photo Gallery. The photos were taken on May 28, 2017, showing Nico Prost at the Mucokart event in Vuiteboeuf (Switzerland). Photo Credit & ©: Oskar Schuler / prostfan.com. There are now 1598 photos in the Nico Prost photo gallery! I added 7 photos to Alain's Photo Gallery. The photos were taken on May 26, 2017, showing Alain Prost at Monte Carlo (Monaco). Photo Credit & ©: RENAULT SPORT FORMULA ONE TEAM. There are now 1858 images in the Alain Prost photo gallery! I added another photo to the Alain Prost Photo Gallery. The photo was taken on May 25, 2017, showing Alain Prost at Monte Carlo (Monaco). Photo Credit & ©: RENAULT SPORT / xpb.cc. There are now 1851 photos in the Alain Prost photo gallery! I added another photo to the Alain Prost Photo Gallery. The photo was taken on February 27, 2017, showing Alain Prost during Formula 1 Testing at Barcelona (Spain). Photo Credit & ©: RENAULT SPORT. There are now 1850 photos in the Alain Prost photo gallery! I added another photo to the Nico Prost Photo Gallery. The photo was taken on May 20, 2017, showing Nico Prost racing at Paris (France). Photo Credit & ©: Zak Mauger/LAT/Formula E. There are now 1595 photos in the Nico Prost photo gallery! I added another photo to the Alain Prost Photo Gallery. The photo was taken on May 20, 2017, showing Alain Prost with Jean Todt and Jean-Paul Driot on the podium at Paris (France). Photo Credit & ©: RENAULT SPORT / Eric Vargiolu / DPPI. There are now 1849 photos in the Alain Prost photo gallery! I added 4 photos to the Nico Prost Photo Gallery. The photos were taken at Paris (France). Photo Credit & ©: RENAULT-SPORT / DPPI. There are now 1594 photos in the Nico Prost photo gallery! Nico was racing in Paris (France) today. He drove a great race, which he finished in fifth position. Find all the final results on the page with the results from the Paris ePrix! I added another photo to the Nico Prost Photo Gallery. The photo was taken on May 13, 2017, showing Nico Prost during practice 2 at Monte Carlo (Monaco). Photo Credit & ©: Jérôme Cambier/Michelin. There are now 1590 photos in the Nico Prost photo gallery! I added another photo to the Nico Prost Photo Gallery. The photo was taken on May 11, 2017, showing Nico Prost portrait at Monte Carlo (Monaco). Photo Credit & ©: RENAULT SPORT / Eric Vargiolu / DPPI. There are now 1589 photos in the Nico Prost photo gallery! I added another photo to the Nico Prost Photo Gallery. The photo was taken on May 4, 2017, Nico Prost during practice 2 at Spa-Francorchamps (Belgium). Photo Credit & ©:Photo Credit & ©: REBELLION RACING / Clement Marin / DPPI. There are now 1588 photos in the Nico Prost photo gallery! I added another photo to the Alain Prost Photo Gallery. The photo was taken on May 12, 2017, showing Alain Prost at Monte Carlo (Monaco). Photo Credit & ©: RENAULT SPORT / Eric Vargiolu / DPPI. There are now 1848 photos in the Alain Prost photo gallery! Nico was racing in Monaco yesterday. He finished the race in ninth position and scored 2 points. Find all the final results on the page with the results from the Monaco ePrix! I added another photo to the Nico Prost Photo Gallery. The photo was taken on May 6, 2017, showing Nico Prost with his teammates Bruno Senna and Julien Canal on the podium at Spa-Francorchamps (Belgium). Photo Credit & ©: FIA WEC / Adrenal Media / Marius Hecker. There are now 1587 photos in the Nico Prost photo gallery! Nico was racing at Spa-Francorchamps (Belgium) this weekend. Find the complete results on the page with the results from the FIA WEC race at Spa-Francorchamps! I added another photo to the Alain Prost Photo Gallery. The photo was taken on April 19, 2017, showing Alain Prost with Cyril Abiteboul during the Shanghai Motorshow Press conference in Shanghai (China). Photo Credit & ©: RENAULT / OLIVIER MARTIN-GAMBIER. There are now 1847 photos in the Alain Prost photo gallery! I added another photo to the Nico Prost Photo Gallery. The photo was taken on April 16, 2017, showing Nico Prost with his teammates Bruno Senna and Julien Canal on the podium at Silverstone (England). Photo Credit & ©: REBELLION RACING / François Flamand / DPPI. There are now 1586 photos in the Nico Prost photo gallery! I added another photo to the Nico Prost Photo Gallery. The photo was taken on April 14, 2017, showing Nico Prost during second practice at Silverstone (England). Photo Credit & ©: REBELLION RACING / DPPI / Clement Luck. There are now 1585 photos in the Nico Prost photo gallery! I added another photo to the Nico Prost Photo Gallery. The photo was taken on April 14, 2017, showing Nico Prost during first practice at Silverstone (England). Photo Credit & ©: REBELLION RACING / DPPI / Clement Luck. There are now 1584 photos in the Nico Prost photo gallery! I added another photo to the Alain Prost Photo Gallery. The photo was taken on April 16, 2017, showing Alain Prost with Thierry Koskas on the grid at Bahrain. Photo Credit & ©: RENAULT-SPORT / Charniaux / XPB Images. There are now 1846 photos in the Alain Prost photo gallery! I added another photo to the Alain Prost Photo Gallery. The photo was taken on April 15, 2017, showing Alain Prost with Nico Hülkenberg at Bahrain. Photo Credit & ©: RENAULT-SPORT / Charniaux / XPB Images. There are now 1845 photos in the Alain Prost photo gallery! Nico was racing at Silverstone (Great Britain) this weekend. Find the complete results on the page with the results from the FIA WEC race at Silverstone! I added 6 photos to the Nico Prost Photo Gallery. The photos were taken at Mexico City. Photo Credit & ©: RENAULT-SPORT / DPPI. There are now 1583 photos in the Nico Prost photo gallery! Nico was racing in Mexico City yesterday. He finished the quite chaotic race in fifth position. Find all the final results on the page with the results from the Mexico City ePrix! I added another photo to the Alain Prost Photo Gallery. The photo was taken on February 28, 2017, showing Alain Prost at Barcelona (Spain). Photo Credit & ©: circuitpics.de. Best thanks go to Bernd Erlhof for his friendly allowance to publish his photo on prostfan.com! There are now 1844 photos in the Alain Prost photo gallery! I added another photo to the Alain Prost Photo Gallery. The photo was taken on March 5, 2017, showing Alain Prost with Stéphane Paoli and Yohann Bagot at Saint-Rémy-de-Provence (France). Photo Credit: RAID DES ALPILLES. There are now 1843 photos in the Alain Prost photo gallery! Alain Prost took part in the bicycle race "Le Raid des Alpilles". He finished 11th in his category and 164th overall of 432 finishers! I added the results to the page with Alain's bicycle race results 2017. I added another photo to the Alain Prost Photo Gallery. The photo was taken on January 27, 2017, showing Alain Prost at the Institut Lumière in Lyon (France). Photo Credit & ©: Jean-Luc Mege Photography. Best thanks go to Jean-Luc for his friendly allowance to publish his photo on prostfan.com! There are now 1842 photos in the Alain Prost photo gallery! I added 86 full resolution photos of Alain and Nicolas Prost to the Member Area! I took those photos last year at Zurich (Switzerland). There are now almost 3'500 high resolution photos in the Member Area! I added another photo to the Alain Prost Photo Gallery. The photo was taken on November 27, 2016, showing Alain Prost with Roger Federer at Yas Marina (Abu Dhabi). Photo Credit: Alain Prost / Twitter. There are now 1841 photos in the Alain Prost photo gallery! I added another photo to the Alain Prost Photo Gallery. The photo was taken on February 11, 2017, showing Alain Prost on a boat at Saint Barthélemy (France). Photo Credit: Alain Prost / Instagram. There are now 1840 photos in the Alain Prost photo gallery! I added another photo to the Alain Prost Photo Gallery. The photo was taken on July 24, 2016, showing Alain Prost with his dog Hippie on a bicycle. Photo Credit: Alain Prost / Instagram. There are now 1839 photos in the Alain Prost photo gallery! I added another photo to the Alain Prost Photo Gallery. The photo was taken on August 5, 2016, showing Alain Prost running. Photo Credit: Alain Prost / Instagram. There are now 1838 photos in the Alain Prost photo gallery! I added another photo to the Nico Prost Photo Gallery. The photo was taken in August 2016, showing Nico Prost at the Bonneville Salt Flats UT (USA). Photo Credit: Nicolas Prost / Instagram. There are now 1577 photos in the Nico Prost photo gallery! I added another photo to the Alain Prost Photo Gallery. The photo was taken on February 21, 2017, showing Alain Prost during the Renault Sport Formula One Team RS17 Launch in London (England). Photo Credit & ©: RENAULT SPORT / DPPI. There are now 1837 photos in the Alain Prost photo gallery! Alain is celebrating his 62nd birthday today! I added another photo to the Alain Prost Photo Gallery. The photo was taken on February 17, 2017, showing Alain Prost at Buenos-Aires (Argentina). Photo Credit & ©: RENAULT SPORT / François Flamand / DPPI. There are now 1836 photos in the Alain Prost photo gallery! I added 6 photos to the Nico Prost Photo Gallery. The photos were taken at Buenos-Aires (Argentina). Photo Credit & ©: RENAULT-SPORT / François Flamand / DPPI. There are now 1576 photos in the Nico Prost photo gallery! Nico was racing in Buenos Aires (Argentina) yesterday. He finished the race in fourth position. Find all the final results on the page with the results from the Buenos Aires ePrix! I added another photo to the Nico Prost Photo Gallery. The photo was taken on January 28, 2017, showing Nico Prost racing at Super Besse (France). Photo Credit & ©: Trophée Andros / BRUNO BADE. There are now 1570 photos in the Nico Prost photo gallery! Nico was racing at Super Besse (France) this weekend. Find all the results on the page with the results from the Enedis Trophée Andros Électrique at Super Besse! I added 2 photos to the Nico Prost Photo Gallery. The photos were taken on December 16, 2016, showing Nico at Alpe d'Huez (France). Photo Credit & ©: Trophée Andros / BRUNO BADE. There are now 1569 photos in the Nico Prost photo gallery! Nico was racing at Alpe d'Huez (France) this weekend. Find all the results on the page with the results from the Enedis Trophée Andros Électrique at Alpe d'Huez! I added another photo to the Nico Prost Photo Gallery. The photo was taken on December 9, 2016, showing Nico Prost racing at Andorra. Photo Credit & ©: Trophée Andros / BRUNO BADE. There are now 1567 photos in the Nico Prost photo gallery! Nico was racing at Andorra this weekend. Find all the results on the page with the results from the Enedis Trophée Andros Électrique at Andorra! I added 4 photos to the Nico Prost Photo Gallery. The photos were taken at Val Thorens (France). Photo Credit & ©: Trophée Andros / BRUNO BADE. There are now 1566 photos in the Nico Prost photo gallery! Nico was racing at Val Thorens this weekend. Find all the results on the page with the results from the Enedis Trophée Andros Électrique at Val Thorens! I added another photo to the Alain Prost Photo Gallery. The photo was taken on November 26, 2016, showing Alain Prost with Bernard Cambier and Jérôme Stoll at Yas Marina (Abu Dhabi). Photo Credit & ©: RENAULT SPORT / François Flamand / DPPI. There are now 1835 photos in the Alain Prost photo gallery!! I added 4 photos to the Nico Prost Photo Gallery. The photos were taken at Marrakesh (Morroco). Photo Credit & ©: RENAULT SPORT / Jean Michel Le Meur / DPPI. There are now 1562 photos in the Nico Prost photo gallery! I added another photo to the Alain Prost Photo Gallery. The photo was taken on November 12, 2016, showing Alain Prost with Sébastien Buemi and Jean-Paul Driot on the podium at Marrakesh (Morocco). Photo Credit & ©: RENAULT SPORT / François Flamand / DPPI. There are now 1834 photos in the Alain Prost photo gallery!! Nico was racing in Marrakesh yesterday. After being drawn into the first qualifying group, he drove a strong race and finished in fourth position. Find all the final results on the page with the results from the Marrakesh ePrix! I added another photo to the Alain Prost Photo Gallery. The photo was taken on April 15, 1979, showing Alain Prost in the Martini-Renault MK27 at Österreichring (Austria). Photo Credit: Manfred Noger. There are now 1833 photos in the Alain Prost photo gallery!! I added another photo to the Nico Prost Photo Gallery. The photo was taken on October 14, 2016, showing Nico Prost driving on an Andros Trophy simulator in Paris (France). Photo Credit & ©: Nico Prost on Twitter. There are now 1558 photos in the Nico Prost photo gallery! I added another photo to the Nico Prost Photo Gallery. The photo was taken on October 9, 2016, showing Nico Prost racing at Hong Kong. Photo Credit & ©: RENAULT SPORT / DPPI / Frederic Le Floc'h. There are now 1557 photos in the Nico Prost photo gallery! Nico was racing in Hong Kong today. After getting stuck in the wrong mode in the first lap and losing several places he showed a great and agressive race and finished in fourth position. Find all the final results on the page with the results from the Hong Kong ePrix! I added another photo to the Nico Prost Photo Gallery. The photo was taken on September 10, 2016, showing Nico Prost during the 8Js launch event at Jelmoli department store in Zürich (Switzerland). Photo Credit & ©: Oskar Schuler / www.prostfan.com. There are now 1557 photos in the Nico Prost photo gallery! I added 5 photos to Alain's Photo Gallery. The photos were taken on September 10, 2016, showing Alain Prost during the 8Js launch event at Jelmoli department store in Zürich (Switzerland). Photo Credit & ©: Oskar Schuler / www.prostfan.com. There are now 1832 images in the Alain Prost photo gallery! I added another photo to the Nico Prost Photo Gallery. The photo was taken on August 25, 2016, showing Nico Prost testing the Renault Z.E.16 at Donington (Great Britain). Photo Credit & ©: Renault e.dams. There are now 1556 photos in the Nico Prost photo gallery! I added another photo to the Nico Prost Photo Gallery. The photo was taken on August 13, 2016, showing Nico Prost driving a 1956 Renault Dauphine during Speed Week at the Bonneville Salt Flats UT (USA). Photo Credit & ©: SCTA-BNI. There are now 1555 photos in the Nico Prost photo gallery! I added 4 photos to the Nico Prost Photo Gallery. The photos were taken by me last weekend at Nürburgring (Germany). Photo Credit & ©: Oskar Schuler / www.prostfan.com. There are now 1554 photos in the Nico Prost photo gallery! Nico was racing at the Nürburgring (Germany) last weekend. Find the complete results on the page with the results from the FIA WEC race at Nürburgring! What a weekend for Nico Prost! He won both races at the Battersea Park in London! Congratulations, Nico! Find today's results on the page with the results from the London ePrix (race 2)! I added another photo to the Alain Prost Photo Gallery. The photo was taken on July 2, 2016, showing Alain Prost with Jean-Paul Driot on the podium at London (England). Photo Credit & ©: Jérôme Cambier/Michelin. There are now 1827 photos in the Alain Prost photo gallery!! I added 4 photos to the Nico Prost Photo Gallery. The photos were taken today, showing Nico Prost at London (England). Photo Credit & ©: Jérôme Cambier/Michelin. There are now 1550 photos in the Nico Prost photo gallery! Nico took his first Formula E win of the season at the Battersea Park in London today! Congratulations, Nico! Starting from pole position, Nico was leading every single lap of the race. Find all the final results on the page with the results from the London ePrix (race 1)! I added another photo to the Alain Prost Photo Gallery. The photo was taken on May 8, 2016, showing Alain Prost with some other members of the Velo Club Des Alpilles in front of the Château de Lourmarin (France). Photo Credit & ©: VELO CLUB DES ALPILLES. There are now 1826 photos in the Alain Prost photo gallery!! I added another photo to the Nico Prost Photo Gallery. The photo was taken on June 5, 2016, showing Nico Prost during the test day at Le Mans (France). Photo Credit & ©: REBELLION RACING / François Flamand / DPPI. There are now 1546 photos in the Nico Prost photo gallery! I added another photo to the Alain Prost Photo Gallery. The photo was taken on October 29, 1984, showing Alain Prost during a press conference at Schiphol (Netherlands). Photo Credit: Rob C. Croes, National Archives of the Netherlands / Anefo, licence CC-BY. There are now 1825 photos in the Alain Prost photo gallery!! I added another photo to the Nico Prost Photo Gallery and to the Alain Prost Photo Gallery. The photo was taken on May 20, 2016, showing Alain Prost and his son Nico in Berlin (Germany). Photo Credit & ©: RENAULT SPORT / Alexandre Guillaumot / DPPI. There are now 1545 photos in the Nico Prost photo gallery and 1824 photos in the Alain Prost photo gallery!! I added another photo to the Nico Prost Photo Gallery. The photo was taken on May 21, 2016, showing Nico Prost racing at Berlin (Germany). Photo Credit & ©: RENAULT-SPORT / Marc de Mattia / DPPI. There are now 1544 photos in the Nico Prost photo gallery! Nico was racing in Berlin (Germany) today. Starting from the sixth position on the grid, Nico showed a great race and finished in fourth position once again. Find all the final results on the page with the results from the Berlin ePrix! I added 7 photos to the Nico Prost Photo Gallery. The photos were taken by me last weekend in Spa-Francorchamps (Belgium). Photo Credit & ©: Oskar Schuler / www.prostfan.com. There are now 1543 photos in the Nico Prost photo gallery! I added another photo to the Nico Prost Photo Gallery. The photo was on April 15, 2016, showing Nico Prost (Rebellion R-One AER) during free practice at Silverstone (Great Britain). Photo Credit & ©: Florent Gooden / DPPI. There are now 1536 photos in the Nico Prost photo gallery! I added another photo to the Nico Prost Photo Gallery. The photo was taken yesterday, showing Nico Prost sitting in the Renault Z.E.15 at Paris (France). Photo Credit & ©: Vincent Curutchet / DPPI. There are now 1535 photos in the Nico Prost photo gallery! I added another photo to Alain's Photo Gallery. It's a photo from April 23, 2016, showing Alain Prost with Anne Hidalgo at Paris (France). Photo Credit & ©: FREDERIC LE FLOC'H / DPPI. There are now 1823 images in the Alain Prost photo gallery! Nico was racing in Paris (France) yesterday. Starting from the fifth position on the grid, Nico showed a solid race and finished in fourth. Find all the final results on the page with the results from the Paris ePrix! I added another photo to the Nico Prost Photo Gallery. The photo was taken today, showing Nico Prost with his teammates on the podium at Silverstone (Great Britain). Photo©AdrenalMedia.com. There are now 1534 photos in the Nico Prost photo gallery! I added 3 photos to the Nico Prost Photo Gallery. The photos were taken on March 19 in Basel (Switzerland). Photo Credit & ©: Johann Sauty - Rebellion. There are now 1533 photos in the Nico Prost photo gallery! I added another photo to the Nico Prost Photo Gallery. The photo was taken on April 2, 2016, showing Nico Prost racing at Long Beach, California (USA). Photo Credit & ©: RENAULT-SPORT / François Flamand / DPPI. There are now 1530 photos in the Nico Prost photo gallery! Nico was racing in Long Beach (USA) yesterday. Find all the final results on the page with the results from the Long Beach ePrix! I added another photo to the Nico Prost Photo Gallery. The photo was taken on March 25, 2016, showing Nico Prost testing at Le Castellet (France). Photo Credit & ©: AdrenalMedia.com. There are now 1529 photos in the Nico Prost photo gallery! I added another photo to the Nico Prost Photo Gallery. The photo was taken on March 12, 2016, showing Nico Prost racing at Mexico City (Mexico). Photo Credit: MICHELIN. There are now 1528 photos in the Nico Prost photo gallery! Nico was racing in Mexico City (Mexico) yesterday. Find all the final results on the page with the results from the Mexico ePrix! Nico drove the fastest lap of the race and finished it on the well-deserved podium position after Lucas Di Grassi was excluded because his first car was underweight. I added another photo to the Nico Prost Photo Gallery. 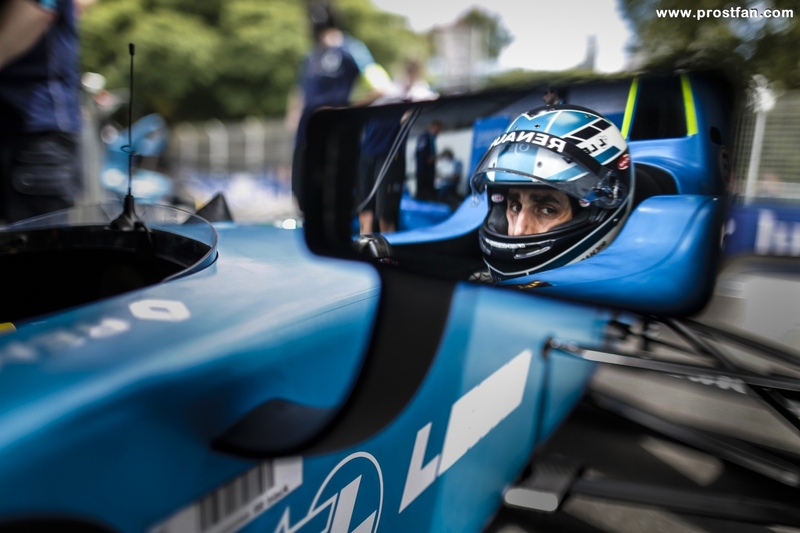 The photo was taken on February 6, 2016, showing Nico Prost racing at Buenos Aires (Argentina). Photo Credit: MICHELIN. There are now 1527 photos in the Nico Prost photo gallery! I added another photo to the Nico Prost Photo Gallery. The photo was taken yesterday, showing Nico Prost at Buenos Aires (Argentina). Photo Credit & ©: Adam Warner / LAT / FIA Formula E. There are now 1526 photos in the Nico Prost photo gallery! I added another photo to Alain's Photo Gallery. It's a photo from February 5, 2016, showing Alain Prost at Buenos Aires (Argentina). Photo Credit & ©: Sam Bloxham / FIA Formula E / LAT. There are now 1822 images in the Alain Prost photo gallery! Nico was racing in Buenos Aires (Argentina) yesterday. Find all the final results on the page with the results from the Buenos Aires ePrix! I added another photo to the Nico Prost Photo Gallery. The photo was taken on January 23, 2016, showing Nico Prost during the GFINITY Prost Vs Senna Event at Due Cinema, Fulham Broadway, London (UK). Photo Credit & ©: FIA Formula E / Adam Warner / LAT. There are now 1525 photos in the Nico Prost photo gallery! I added the new book of Maurice Hamilton/McLaren to the page with Alain Prost Books in the Collectors Corner. This book is an absolute "Must have" for any fan of Alain! More books will be added soon! I added another photo to the Nico Prost Photo Gallery. The photo was taken last Saturday, showing Nico Prost with Bruno Senna and Nicki Shields during the GFINITY Prost Vs Senna Event at Due Cinema, Fulham Broadway, London (UK). Photo Credit & ©: FIA Formula E / Adam Warner / LAT. There are now 1524 photos in the Nico Prost photo gallery! I added another photo to Alain's Photo Gallery. It's a photo from December 18, 2015, showing Alain with Jean-Paul Driot at Punta del Este (Uruguay). Photo Credit & ©: RENAULT-SPORT / François Flamand / DPPI. There are now 1821 images in the Alain Prost photo gallery! Join The Prostist Mailing List!